Let’s crack the nut on this subject, shall we? First we need to discuss a couple of terms that may reveal a great deal on this subject. We start with the terms that are used to discuss the word law. In Hebrew, we first have the word torah, which is actually better interpreted as meaning instruction, but is the word most commonly interpreted as law in most English editions. (It appears as torah in the Eth Cepher). Of course, this is not the only word translated as law. One (echad) law (torah) shall be to him that is homeborn, and unto the stranger (ger) that sojourns (goor) among you. So our next choice for the Hebrew word that is interpreted as law is the word mishpat, which means in the first instance a verdict pronounced judicially, especially a sentence or formal decree, divine law, including the act, the place, the suit, the crime, and the penalty. The better word here would be judgment (in America, we would call it legal precedent). Ye shall have one (echad) manner of law (mishpat), as well for the stranger (ger), as for one of your own country: for I am YAHUAH ELOHAYCHA. Then on that day David delivered first this psalm to thank YAHUAH into the hand of Acaph and his brethren. Before we get into the issue of the word chôq, consider that there appears in this text the edict to call upon the name of YAHUAH. It is not possible to call upon his name when you call upon the Lord – which is a substituted title, or when you call upon HaShem, which means the name, without using the name. Give thanks to YAHUAH, and do so by calling on his name (Yada YAHUAH). 13 O ye seed of Yisra’el his servant, ye children of Ya`aqov, his chosen ones. 14 He is YAHUAH our ELOHIYM; his judgments (mishpatiym, or laws) are in all the earth. 15 Be ye mindful always of his covenant; the word which he commanded to a thousand generations; 16 Even of the covenant which he made with את (eth)-Avraham, and of his oath unto Yitschaq; 17 And has confirmed the same to Ya`aqov for a law (chôq), and to Yisra’el for an everlasting covenant, 18 Saying, Unto you will I give the land of Kena`an, the lot of your inheritance; 19 When ye were but few, even a few, and strangers in it. 20 And when they went from nation to nation, and from one kingdom to another people; 21 He suffered no man to do them wrong: yea, he reproved kings for their sakes, 22 Saying, Touch not my anointed, and do my prophets no harm. 15 Be ye mindful always of his covenant; the word (d’var) which he commanded to a thousand generations; 16 Even of the covenant which he made with את (eth)-Avraham, and of his oath unto Yitschaq; 17 And has confirmed the same to Ya`aqov for a law (chôq), and to Yisra’el for an everlasting covenant. Isn’t this the reference found in Yahuchanon (John) 1:1; that in the beginning was the Word? 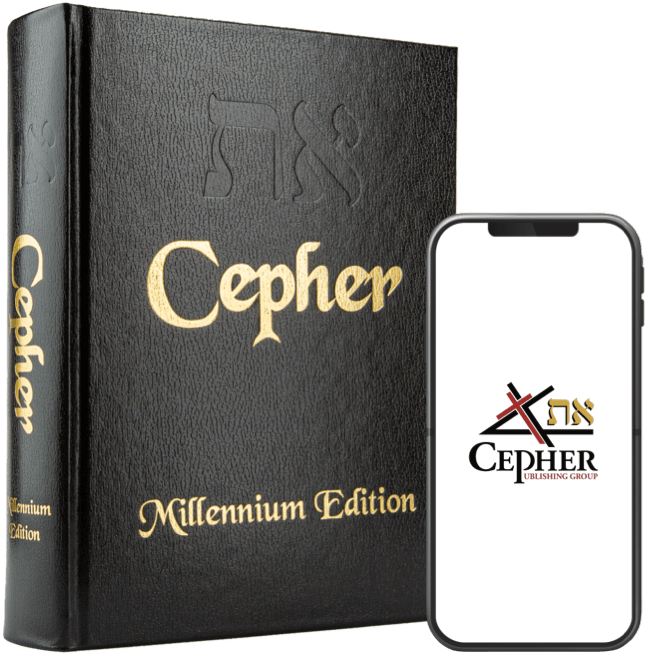 The covenant is the word, which is the covenant made to Avraham, which is the oath made to Yitschaq, which is the law (chôq) for Ya’aqov, and which is an everlasting covenant to Yisra’el. The covenant (brit) given to Avraham was a birthright to the land of Kena’an as an everlasting inheritance. It is this covenant that is renewed in Yermiyahu (Jeremiah) 31:31 and Ivriym (Hebrews) 8:8. We will discuss this a bit as part of this inquiry. 23 Sing unto YAHUAH, all the earth; show forth from day to day his YAHUSHA. 24 Declare his glory among the heathen; his marvellous works among all nations. 25 For great is YAHUAH, and greatly to be praised: he also is to be feared above all gods. 26 For all the gods of the people are idols: but YAHUAH made the heavens. 27 Glory and honour are in his presence; strength and gladness are in his place. 28 Give unto YAHUAH, ye kindreds of the people, give unto YAHUAH glory and strength. 29 Give unto YAHUAH the glory due unto his name: bring an offering, and come before him: worship YAHUAH in the beauty of holiness. 30 Fear before him, all the earth: the world also shall be stable, that it be not moved. 31 Let the heavens be glad, and let the earth rejoice: and let men say among the nations, YAHUAH reigns. 32 Let the sea roar, and the fulness thereof: let the fields rejoice, and all that is therein. 33 Then shall the trees of the wood sing out at the presence of YAHUAH, because he comes to judge the earth. 34 O give thanks unto YAHUAH; for he is good; for his mercy endures forever (yada YAHUAH, kee tov, kee la’olam chesed).35 And say ye, Save us, O ELOHIYM of our salvation (yesha), and gather us together, and deliver (natsal) us from the heathen, that we may give thanks (yada) to your holy name (qodesh l’shem), and glory in your praise. 36 Blessed be YAHUAH ELOHIYM of Yisra’el forever and ever. And all the people said, Amen, and praised YAHUAH.